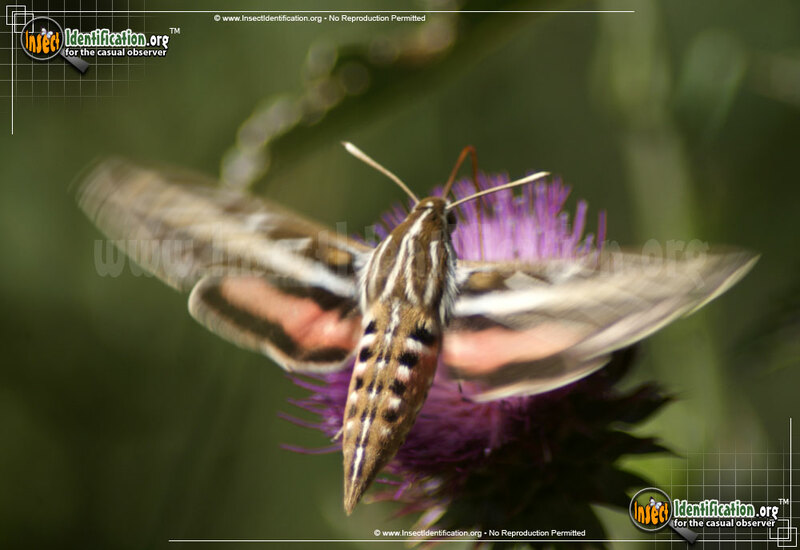 Detailing the physical features, habits, territorial reach and other identifying qualities of the White-lined Sphinx Moth. 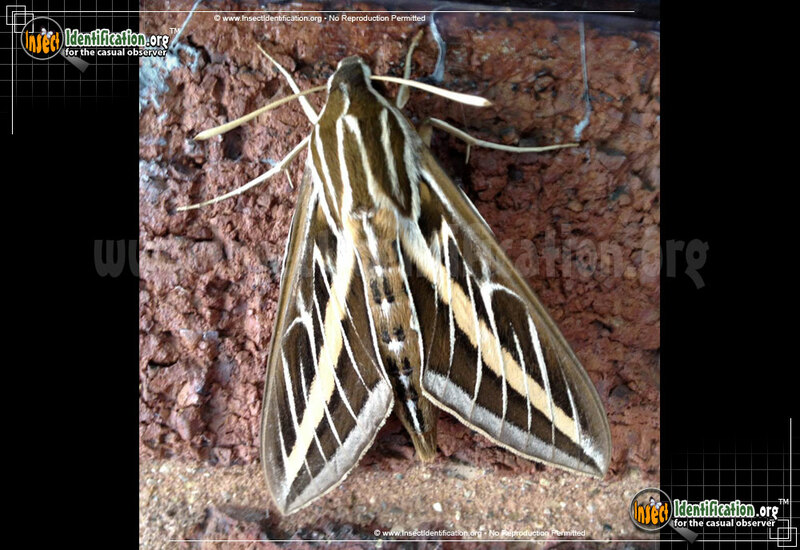 Streamlined and sleek White-lined Sphinx Moths are big, brown, and abundant across the continent . 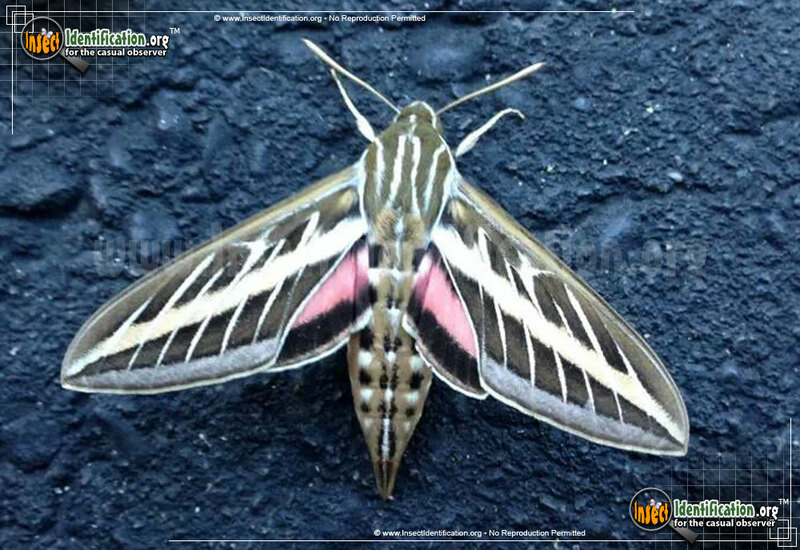 Sphinx moths are larger than most moths and the White-lined Sphinx Moth is no exception. 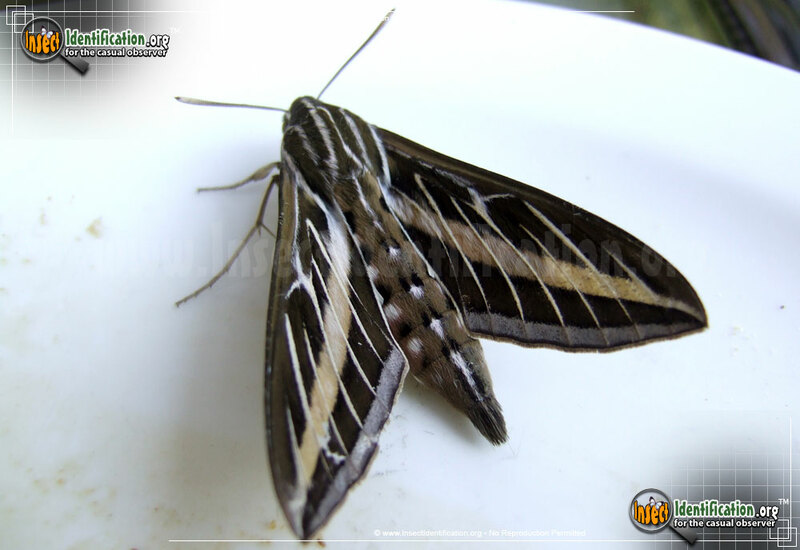 Their forewings are mostly brown, but each has a thick white line that extends from the base by the head out toward the tip of the wing. 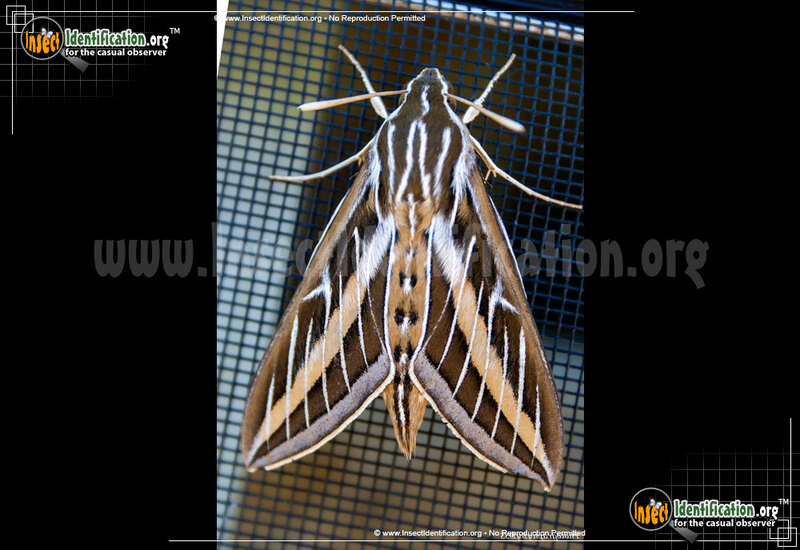 Thin white lines cross this thicker one in spaced intervals from left to right. The tops of the hindwings have a flash of bright pink that is only visible when the moth completely spreads its forewings open. 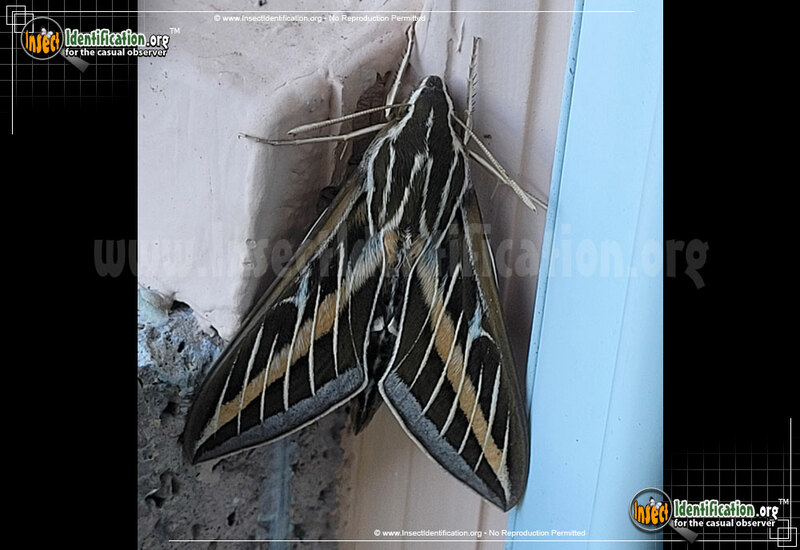 The caterpillar comes in a wide variety of colors. 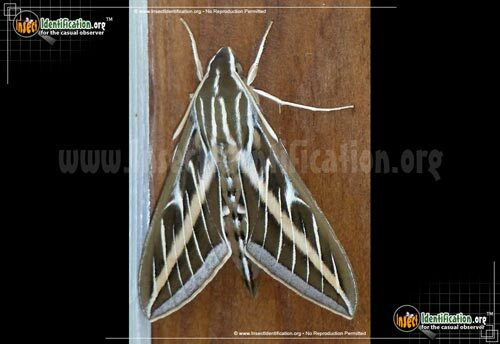 The immature caterpillar is known to feed on a large variety of plants, but more mature ones tend to prefer evening primrose and roses. 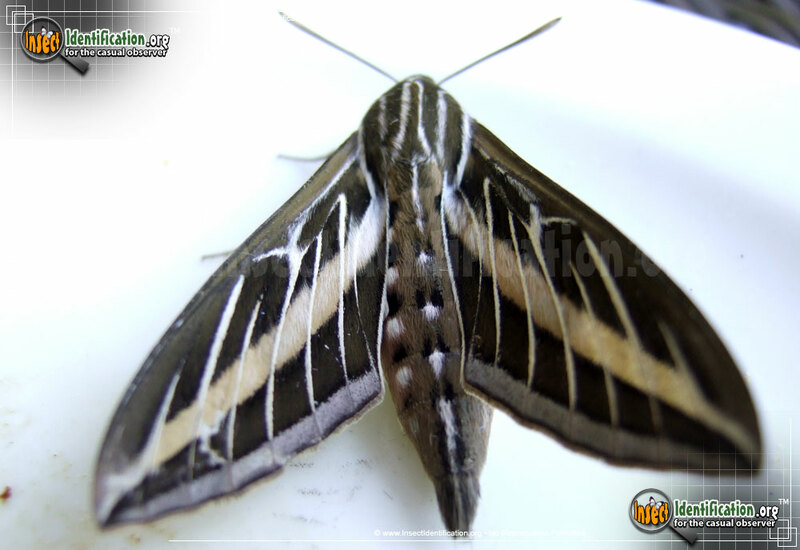 A more mature caterpillar is horned and can be black with yellow lines on the sides. 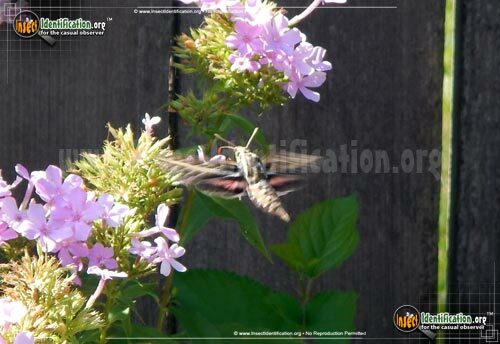 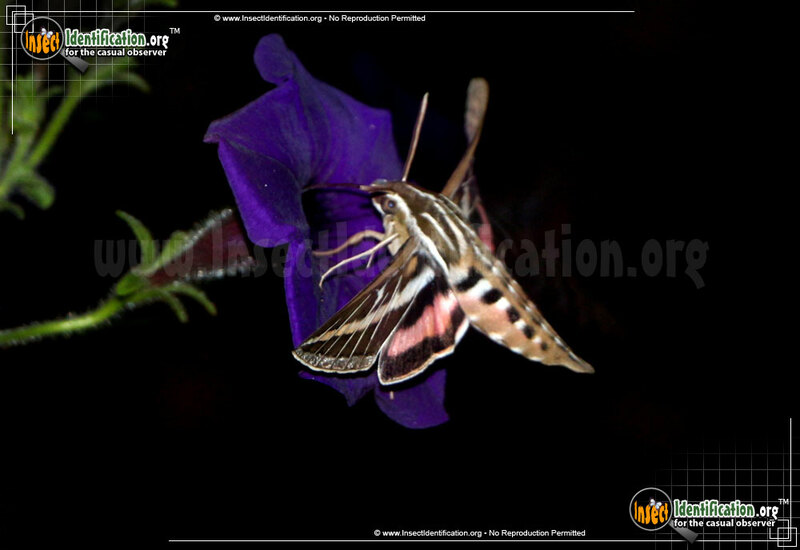 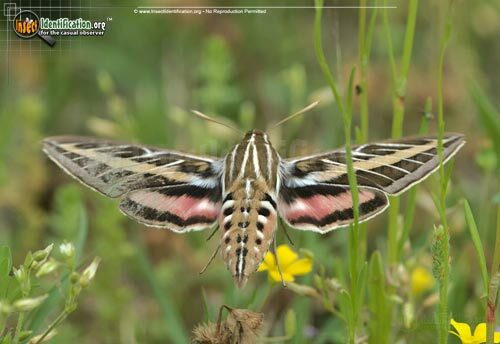 The White-lined Sphinx Moth hovers over flowers, much like a bird, and can be found in a variety of habitats. 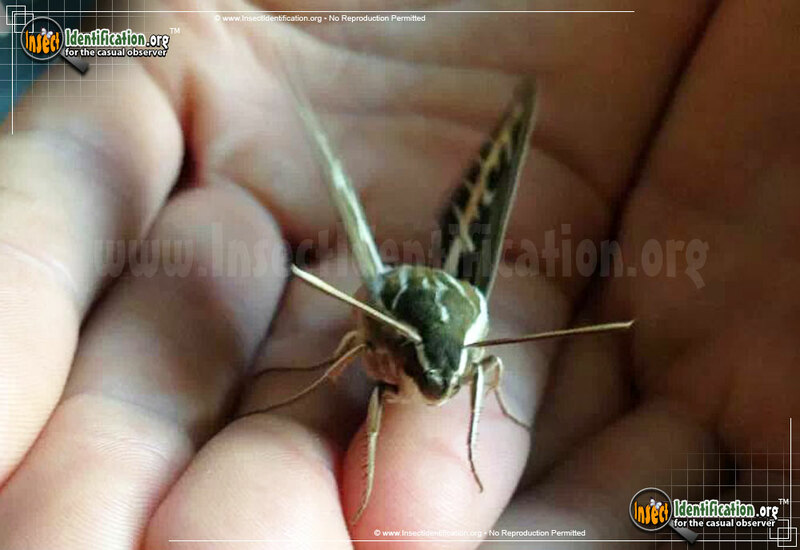 It is very hairy so it could be mistaken as a small bird if not closely observed. The species is active both day and at night. 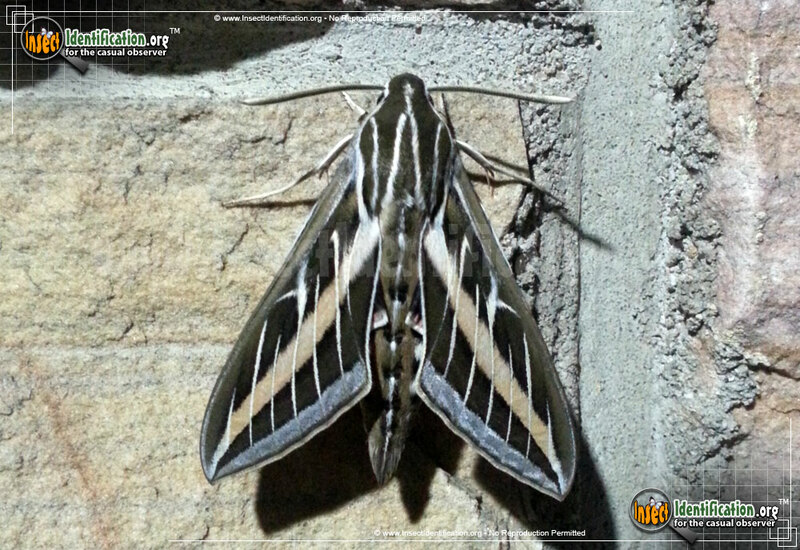 They are attracted to lights and many of them may congregate together at a light source at night. This species is known to have population explosions in drier parts of the country. 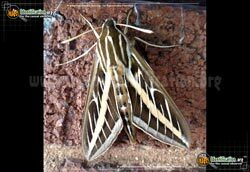 Its enormous range covers most of North America.